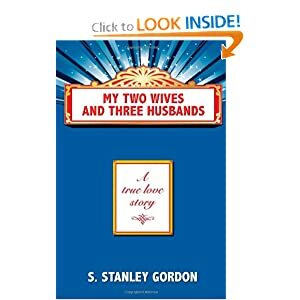 My Two Wives and Three Husbands is the true story of one man’s search for love – first in the straight world, then in the gay one,” says Gordon, who began writing at age 84 after a series of stunningly successful careers in optometry, business, and – perhaps most intriguingly – as a theatrical producer in New York and London. Fortunately for the rest of us, Gordon is now more than willing to share what he’s learned over the years since growing up, the child of working class Russian Jewish immigrants in Philadelphia. As they begin to learn more about Gordon, readers will find themselves enthralled. Better yet, they will gain invaluable insight, information and perspective on how to live their own lives to the fullest. But the author, himself, sums it up best when his last chapter encourages us to live by the lyrics of the song Make Someone Happy. My Take on the BookThe author does a great job at helping the reader to understand his life and his search for love. He has a wonderful way of weaving a livid story that draws you in and helps you to not only read but live the story that he is sharing. The authors' life was truly an amazing one, one that you could not imagine (at least most could not), working with stars like Mae West, Rex Harrison and Greta Garbo. He shares with his readers intimate details about his life and his loves and his experience in being gay in a world where being gay was somethng that you hid away. The book was a great, fast read and one that will appeal to anyone, no matter if you are gay or straight. You will be drawn into the story and will be inspired by the take and the life experiences of this amazing man.